For over fifty years, Steve Schmidt Topsoil has been providing Tri-County residents with quality landscaping and paving materials. With varied products such as sod, ground cover, u-haul concrete, pond supplies, and decorative rock; they carry everything the do-it-yourself homeowner needs to beautify their yard or garden. Competitive prices and locally quarried rock make Steve Schmidt Topsoil a favorite with individuals and landscape companies. In 1914 A.E. Schmidt started a materials hauling service in the burgeoning San Fernando Valley. What started as mules and wagons grew into dump trucks and tractors. Nearly 80 years later his grandson, steve, and wife, Nancy, left southern California for Paso Robles. In tradition of Steve’s grandfather, Steve and Nancy started Steve Schmidt Topsoil. After 10 years as an employee, Ron and his wide took over and have been running the business ever since. Ron: Ron has worked in the construction business since 1979. He is the proud father of six children and three giggly grandchildren. When he’s not driving the truck at work, you may see Ron astride a Harley Davidson motorcycle or running around the back roads of Atascadero. Linda: Linda’s will likely be the first face you see at Steve Schmidt Topsoil, where she has worked for over 10 years. After hours, Linda worked as a personal trainer at Kennedy Club Fitness in Atascadero. She is a proud mother of six and grandmother to three adorable children. Free local delivery for all orders of 5 or more yards of material. Central Coast’s top carpet and upholstery cleaners specialize in carpet, upholstery, tile, grout, and rug cleaning; odor, stain, and pet stain removal. Affordable, professional cleaners. Read about North County Carpet and Upholstery Cleaners as featured in the Paso Robles Daily News. Tom Robinson founded North County Carpet Cleaners in 1992. Over the past 20 years he has grown his business from nothing to become one of the Central Coast’s most trusted carpet and upholstery cleaning companies. He and his son run the company together, and customers can always expect the utmost in customer service and satisfaction with a job well done. Much of their new business is through referrals. “Tom and his worker did a great job steam cleaning my carpets. His estimate by phone was only off by $5.00 when he saw my house and carpets in person. I had to leave in the middle of the job and felt totally comfortable lettting them finish and lock up. They have been in business 18 years in this area and are knowledgeable, dependable and quick. I was very pleased.” – Melinda R.
The Central Coast’s premier gift basket service. Custom business and personal gifts. Gift basket, stand alone gifts, silk florals, corporate gifts, personalized gifts, business gifts. River Road Mini Storage is a self service mini storage facility located in Paso Robles, CA. With three sizes to choose from we have everything to fit your storage needs. Units are accessible seven days a week with code controlled access. All the units are safe and secure with surrounding lighting and a fully fenced facility. Easy payment options, lighted and fenced units, wide drive-up access. Our convenient location in Paso Robles makes storing your stuff easy and affordable. Easy payment options, lighted and fenced units, wide drive-up access. About: River Road Mini Storage was started in 1984 and has been owned by the current owners since 2004. Our goal is to supply Paso Robles with a friendly, clean, and secure facility at a reasonable price. Rick Runnells has been a local business owner since 1986 and has 25 years experience with customer service and commercial property. Offers: 20% off first month with online coupon. The Tree Man nursery is a full service non-pesticide nursery located off Highway 101 in Paso Robles. With over four acres of plants, tree’s and bushes, you name it we have it. We are a family run business with over 30 years of nursery experience. We will help you find the right plants, fertilizer and instructions for continued care. Pesticide free nursery. We use live chickens, roosters and our beautiful turkey to control pesticides with zero chemicals. Over 400,000 plants in stock. We are family owned and operated and all our staff is friendly, helpful, and knowledgeable. 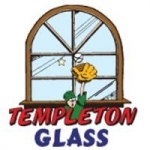 We began back in 1985 as a small garden center in Templeton. We grew by leaps and bounds as home gardeners found us a better place to visit than the chain store garden centers. Now we have over 400,000 plants, shrubs and trees spread over four acres right off the Highway 101 in Paso Robles. Zan graduated from UCLA and has over 30 years in experience with plants, and remains the unanimous north country expert on plants and horticulture. Her thriving need to gain more knowledge about her craft, drives her to answer your questions and if she cant she will find the answer, through her extensive network of experts. “This place in incredible! What a selection of plants and garden goodies. I just can’t resist the plants and trees, and if Zan starts to tell a story you are in for a real treat. Be sure to go all the way to the back. It seems to never end.” – Charlie C.
Free design service. Here is how it works: Take a photo of the area you want to landscape and print it. Then bring it in and we will draw in the plants, shrubs and trees that will work for your available space and your micro-climate. Its simple but it works. Hart family chiropractic strives to make a positive contribution to the lives of people in SLO county by providing quality chiropractic care and education on how to live a more healthy life. Our intent is to inform, educate and lead you to a more healthy way of being and to provide connection with the community. We are located in the Kennedy Plaza and serve Atascadero, Paso Robles, Santa Margarita and Templeton. We serve all ages and walks of life from newborns to their grandparents, people who are healthy and those who are striving for health. We provide care through an understanding and respect of the power that creates life. Dr. Darren R. Hart was born and raised in Atascadero and received his education at Atascadero High School, Cal Poly, and palmer college of chiropractics. He was inspired to become a chiropractor after a life-saving chiropractic adjustment as a young child. Through his gentle healing touch, Dr. Hart enjoys giving back to others what chiropractic gave to him. Located in Atascadero and Paso Robles North County Physical Therapy is a team of physical rehabilitation and health promotion specialists who assist clients in achieving their goals regarding a variety of injuries, diseases, and conditions. For over 35 years North County Physical Therapy has been providing caring, effective and efficient rehabilitation services for Northern San Luis Obispo and Southern Monterey Counties. North County Physical Therapy provides clinical facilities in Atascadero and Paso Robles. As physical therapy leaders in our community, North County Physical Therapy clinics are proud sponsors of community lectures, health fairs, community outreach programs and sporting events. Mary Ann Burke, MS, PT, GCS graduated from California Polytechnic State University with a BS in Biology and University of the Pacific with a MS in Physical Therapy. Mary Ann has an advanced certification in geriatric medicine from the American Physical Therapy Association and has lectured extensively on joint replacement rehabilitation, women’s health issues and geriatric fitness. Mary Ann is a supporter of community events such as Wine Country Run’s 1/2 Marathon, Arthritis Foundation’s Central Coast Arthritis Walk, Hares n Hounds 5K, & Harvest Marathon. She has been owner of NCPT since 2002. “Paul did a great job. Paradise Limousine Co. is super friendly and delivered a wonderful wine tour as expected. He know the area well and was able to suggest some great additional stops.” Patty Costantinidis on Google. Robert Kelly became licensed as a general contractor in 1981. For the next twelve years Kelly Construction built and remodeled various residential and commercial projects. During that time, Bob had an opportunity to work with professionals in the Water and Fire Disaster Remediation field. Bob decided to pursue this field as his specialty. As a result he started Central Coast Casualty Restoration in 1993. Commercial and Residential Heating, Air Conditioning, Ventilation, and Commercial Refrigeration. Also provide Sales, Installation, and Maintenance including service for Mobile Homes. We have over 41-years of experience.Please contact us to discuss your needs. Discounts are available to Atascadero Chamber of Commerce members, and we accept most major credit cards. Discounts are available to Atascadero Chamber of Commerce members, and we accept most major credit cards. Paso Robles Safe & Lock is a fully licensed and bonded locksmith company. Paso Robles Safe and Lock is registered with the State Of California as a licensed locksmith company and in addition our employees are registered with the state and have individual locksmith licenses. What this means is that you have an individual working for you that has had an extensive background check. Paso Robles Safe and Lock also holds a California State Contractors license. Our locksmiths attend yearly industry approved educational certification classes to keep us brushed up as well as up to date on the latest advances in our industry. Paso Robles Safe and Lock provides quality care and service to our customers. We are your North County Locksmith professionals serving Santa Margarita, Atascadero, Templeton, Paso Robles and San Miguel since 1979. The company was started back in 1979 by Jack Davis. In 1987 Jim Mitchell bought it and moved it to Paso Robles. In 2002, Rick Horlings took it over and it has been in the same location since 1997. Rick moved here in 2002 from Ventura County. He was looking for a slower pace of life from the business of Southern California. As a child growing up Rick’s father was a contractor, who was regularly using locksmiths for his projects. Rick fell in love with the precision and puzzle problem solving that came with the job. The opportunity to run an established locksmith business in Paso Robles presented itself and leaped at the chance to purchase it. Since 2002, he has been the sole owner. StoneTech provides decorative San Luis Obispo concrete alternatives on the Central California Coast area. The services offered are designed to provide home owners and business owners with a decorative overlay for patios, pool decks, walkways, driveways, garage floors, 2nd floor decks and many other exteriors as well as interior applications. StoneTech offers overlays as simple as a single color to fully custom mural designs. The company is a member of the Atascadero Chamber of Commerce and the Better Business Bureau (BBB). StoneTech offers decorative concrete, concrete coatings, overlays, deck waterproofing, epoxy flooring, stamped concrete, concrete construction, driveways, flagstone and simulated tile surfaces. They have extensive experience in concrete artistic design and implementation. The company was founded in 2000 and has 10 hardworking employees. To provide a valuable alternative to concrete replacement with a focus on high quality workmanship, clean jobsites, great customer service, and competitive pricing that provides our customer with a lasting value for years to come. Bo Schmidt is the owner and manager of StoneTech. He has significant management skills developed as the VP and director of operations for BSR Inc., located in Northern Illinois. He uses his experience to preparing and presenting decorative concrete alternatives. Bo was a project manager technician and employee training instructor for 10 years before becoming VP. His experience in customer relations and project managing has been valuable to the success of StoneTech. In addition to his management expertise, his artistic ability will offer a new dimension unavailable to StoneTech’s competitors. With this artistic flair and the professional training programs developed by Bo, StoneTech offers a service unlike any other. About: Healthy Inspirations of Paso Robles has been improving women’s lives for the past 15 years. Healthy Inspirations is dedicated to inspiring women to change their lives. By educating, encouraging, and inspiring them to change life habits that have put the weight on, we will help them lose weight and keep it off for good. Thirty minutes and three times per week is all it takes for the results you want. Clients are guaranteed to lose 2-3 pounds per week. At Cold Stone Creamery in Paso Robles, we make our ice cream, ice cream cakes and cupcakes fresh everyday on premises. We mix in your favorite candies or fruits to make your Ice Cream just the way you want it. Located in Paso Robles, Distinctive Glassware was founded in 2011 to bring quality glassware decoration to the central coast of California. Whether your need is for event glass, wedding, tasting room, restaurant or corporate identity and marketing, we have a product to meet your need. We offer screen printing, etch effect, laser etching and undecorated glassware. On The Beach Bed & Breakfast was built in 2004 as a 14 room Boutique Hotel and was originally named the Pierpointe Inn. The current owners Richard Rengel and Richard and Debbie Shannon purchased the property in September of 2007. We remodeled the kitchen to produce gourmet meals, redesigned the Lobby and installed all new landscape. We continuously strive to keep our rooms above standard, while maintaining our beach charm and mystique. We have also changed the name to On the Beach Bed & Breakfast at the time of purchase. The name came from our guests who were always commenting what a great location we had right next to the pier and On the Beach. Our philosophy is provide an elegant, comfortable beach oriented vacation for our guests. We have promoted a daily, freshly cooked, incredible breakfast tradition, as well as an evening social hour. Breakfast items span a range of different styles, emphasizing the diverse background of our staff, while social hour items are customized to balance and pair with the wines we are serving each day. The owners all have long time roots in San Luis Obispo County. Richard Rengel is a commercial Architect who graduated from Cal Poly, San Luis Obispo and currently resides in San Luis Obispo. He is a well-respected commercial architect, an avid flier, skier and very active member of the Cal Poly Alumni Association. Debbie Shannon was raised in San Luis Obispo and also graduated from Cal Poly, SLO. She has been a recreation supervisor for both the cities of San Luis Obispo and Paso Robles and currently handles are wine program and oversees the staff. Richard and Debbie reside in Atascadero. Richard Shannon moved to San Luis Obispo County in 1976 and has been active in Real Estate Brokerage and Development in San Luis Obispo County since 1977. He is Co-Owner / Broker of Peabody & PLUM REALTORS in Atascadero. He is involved in all phases of real estate including single family home sales, commercial sales and leasing, vineyard sales and vacant land sales. Richard also is the General Manager for On The Beach Bed & Breakfast and he oversees the daily operations of the hotel. He is also an avid surfer and can be seen in the local waters and at the Cayucos Pier when the surf is good. Our staff is comprised of local residents, who have an extensive knowledge of the area and can provide great suggestion for every type of activity. We are grateful of the family feel we are able to evoke, provided that guests asks us all the time if everyone working at On the Beach is related. We invite you to consider On the Beach, Bed and Breakfast as the lodging establishment for your next trip to our wonderful area. “Stayed this last weekend and DID NOT WANT TO LEAVE!!! I was lucky enough to get a Living Social deal to use at the B&B, which was largely what made us pick the place. I looked at the reviews before buying and everything seemed generally good, so I took the plunge. I was so pleasantly surprised when we got there. If wasn’t just “ok”, it was awesome. The staff was friendly, the room was nice with a huuuuuge bathtub big enough for two (perfect for a bubble bath and glass of wine since you’re in wine country) and the breakfasts in the morning we superb – unique dishes served to order when you arrived downstairs in the morning. On top of that, free wi-fi so we could plan our trips to wineries and Hearst Castle. I was so happy with our stay and I am recommending it to everyone I know. Be sure to call early so you can get one of the beach front rooms, awesome view of the pier and the coast. There is also a great hot tub outside with a view of the beach.” – Rebecca H.
“This is a GREAT HOTEL. The location is epic, separated from the sand of a cool beach by a small one lane road!! You can leave the slider open and be lulled to sleep by the sound of waves gently breaking on the sand. That alone is worth the price of admission. We stay here on the 4th of July and are right in the heart of an old school parade and celebration! Doesn’t get better than this! !” – Maurice L.
Central Coast Propane provides complete propane sales and service including residential, commercial and agricultural service. “I usually don’t like the idea of a wine tour, but I also knew carting 10 women around Paso Robles was surely a job for hire. Great driver (Katie), great time, and great photos that she took and emailed to all of us ASAP. It worked out to be roughly $80 per person, gratutity included, for: rides to four wineries and our lunch spot, pickup and drop-off at our vacation rental (her house, actually: Behind the Red Door), photos, water, and peace of mind.” – Tara H.
“My group had a great experience on the uncorked tour shuttle. Katie organized our wineries as well as where we would have lunch! She was outgoing and helpful with everything!” – Bella C.
When it comes to our gutters, when we say custom, we mean it! Everything we do is custom. We offer any type of gutter you could dream of for your home, and we can also help provide it for you. We proudly boast of 80 different color options and 6 different styles to choose from. We also fabricate the gutters ourselves! ” I have to say that Five Star Rain Gutters was definitely 5 stars for sure. Everyone there is friendly and willing to go the extra mile. Melissa was great! She made sure everything was set from the estimate to the scheduling of the install. They got the estimate done quick and I had told them that I’d call them with it was time to install. After my roof and fascia boards were replaced, I called them back to schedule a day to have them install the gutters. From that call, they were able to come out in 10 days! Wow! That’s fast! The installers arrived exactly on time. Andy (the foreman) was fantastic. Before they started, he took me around the house and showed me exactly what was planned per estimate. He was spot on. He said they would finish up at 3:30 p.m. and sure enough, he was spot on again. Nestled within a rolling landscape of oak trees of Paso Robles’ Peachy Canyon, Michael Gill Cellars offers potent and exquisite world class wines. The west side Paso Robles coastal estate takes full advantage of the excellent natural conditions: the mountainous territory is known for its rocky, calcareous soil, and differing levels of hillside sun exposure allow vineyards to be specifically sited for each varietal. Located in Atascadero, CA Daner Law firm practices full service civil litigation, business and estate planning in all state and federal courts in California, and is also licensed in Nevada. Areas of emphasis include real property, business planning and litigation, construction claims and defect litigation, landlord/tenant controversies, governmental entity representation, insurance related matters. Our 3000 sq. ft. showroom is located in beautiful Paso Robles CA, but our services extend from San Luis Obispo to King City and beyond. At Frontier Floors & Window Coverings we offer the finest brands in flooring, hardwood, carpet and window coverings, and unique tiles for your residential or commercial project. We provide the highest quality at competitive prices with unmatched personal customer service. Frontier Floors & Window Coverings was established in 1977. Since then our long-standing reputation for fine service has served the residents of the North County for over 30 years. Owner Dana Verreras believes that “personal and professional customer service” has its place in today’s competitive marketplace. Every customer at Frontier Floors is given personal attention by assessing their lifestyle then recommending the right products. We then lend out samples for you to view in your own environment and lighting. If you feel the need to have a design consultation at your home, we can make an appointment with our on staff Interior Designer to come and assist on a large or small scale. Sometimes all you need is a professional “second opinion” on what you have already designed to give you the self esteem you need in launching your project. Of course, all of our flooring and window covering estimates are free of charge and very competitive. We’ve had the same in-house professional installation crews for over 25 years. And our professional Interior Design/Space Planner has over 25 years of experience in residential and commercial projects. Frontier Floors of Paso Robles offers the convenience of in-home shopping, we bring the carpet and floor samples to your home, immediately enabling an accurate preview of how your new carpet or flooring will match your home. Ask about our in-home shopping service. Frontier Flooring & Window Coverings was established in 1977, and has been owned by Dana Verreras since 1987. With the largest showroom in North County, Frontier Flooring has built their reputation on honest, hometown service. They have had the same installation crews for over 25 years. We are a real estate agency located in Paso Robles, CA specializing in specializing in ranches, vineyards, property, and land for sale. DaCosse and Associates believes real estate knowledge and experience are vital. We provide our clients with the respect and dignity their investment deserves. Lynda DaCosse is a real estate broker who believes each client deserves to work with a professional, well educated real estate broker comfortable in all facets of real estate transactions. Lynda’s clients have the comfort of knowing her ability to counsel them is based on the strong foundation she has acquired over many years in the real estate business. Lynda DaCosse, real estate broker specializing in ranches, vineyards, property, and land for sale. Property with a view. Wine Country real estate based out of Paso Robles, CA. Richard Rossi is a fifth-generation San Luis Obispo native. He received his Bachelor of Science degree in accounting from the University of Denver, and his Law Degree Juris Doctor from the San Joaquin College of Law. He founded Rossi Law in San Luis Obispo in 1975 and has since expanded to Paso Robles. Rossi takes on cases all over California. “We were referred to Country Florist for our wedding flowers and they were wonderful. We loved the flowers, the wedding bouquet and all the table displays were perfect. They made our special day look flawless. Thank you again Country Florist for your artistic arrangements!” – Tom M.
The Pacifica Winery Division is part of Pacifica Commercial Realty, the Central Coast’s premier full-service, industrial, commercial and investment real estate company. Our team of experts advise owners on selling their wineries/vineyards and consult with buyers to looking to purchase. Since 1969, Pacifica Commercial Realty focuses on the needs of commercial and investment property owners. The Pacifica Winery Division serves the Central Coastӳ wine country in Monterey, Santa Barbara and San Luis Obispo counties, specializing in wineries for sale on the Central Coast. The Pacifica Winery Divisionӳ success is built on our reputation for superior market knowledge, integrity and commitment to client satisfaction. Pacifica represents many of the areaӳ most successful companies, while maintaining a personal level of service for the communityӳ own independent businesses. Property owners often only disclose business, financial and marketing information to serious and qualified Buyers due to the sensitive nature of their businesses. We back everything with a confidentiality agreement; we at Pacifica pride ourselves in obtaining as complete a package of information as is available for each property, which in turn assists a prospective buyer in assessing the value of the propertyӳ assets. Newlin Hastings: Newlin Hastings is the founder of Hastings Enterprises, a commercial real estate company that merged with Pacifica Commercial Realty in 2008. Founded in 1989 and based in Paso Robles, Hastings Enterprises helped to shape the character of Paso Robles through its industrial brokerage services and retail and public development projects including the Granary, the historic Train Depot, the Food 4 Less Center and, most recently, the Gateway Center at First and Spring Streets. With a sincere interest in community, sports, redevelopment of historic structures, economic development and the nurturing of new and innovative commercial real estate projects, Newlin remains vitally involved in the Paso Robles community and the greater Central Coast region. Hastings Enterprises and Pacifica have represented many of the finest wineries in the Central Coast. Newlin has been custom-farming seven varietals of premium wine grapes, creating close relationships with the wineries and winemakers. He has sold his grapes to Justin, Anglim, Thacher, Peachy Canyon, Tobin James, Chamisal and Asuncion Ridge wineries. He planted his vineyard in the Adelaida District, in the west side of the Paso Robles AVA, in 1997. Steven Meixner: Steven Meixner joined Pacifica Commercial Realty in 2012 to create the ‘Wine Properties Division’ focused on representation of buyers and sellers of wineries and vineyards. The initial market focus is the Paso Robles wine district that contains 240 wineries and 400 vineyards. The practice will then expand into the other wine districts throughout the Pacifica Commercial Realtyӳ Central Coast market area. Prior to joining Pacifica Commercial Realty, Meixner spent 30 years in commercial real estate, specializing in the development of large properties in Southern California, including the Hughes Aircraft Corporationӳ Corporate Headquarters, the SunAmerica Tower in Century City and the Paseo Nuevo Mall in Santa Barbara. He has served as executive in charge of dozens of projects, exceeding 4 million square feet, and a total value of 1 billion dollars. In 1998, with his stepson, Aaron Campbell, Steve formed Campbell Distribution Company, a broker of Central Coast wines in the Southern California market. That business grew successfully for eight years and then merged with Angeles Wine Agency, a statewide importer and distributor of fine wines. Bryan Beckham: Bryan Beckham brings over 23 years of commercial and industrial real estate experience to the Paso Robles office of Pacifica Commercial Realty. Bryan has been a licensed California Real Estate Broker for more than 20 years. He specializes in the sale and leasing of commercial or industrial properties throughout the Central Coast. Additionally, he has represented numerous parties in qualified 1031 tax-deferred property exchanges. He is active in property management for local commercial properties and owners. Local product knowledge, command of current market values for land and buildings and the ability to successfully represent clients are the qualities you can expect when dealing with Bryan Beckham. The purpose of the Paso Robles Children’s Museum is to develop and maintain an interactive educational facility for the children, families, and educators in our community, while showcasing the heritage of the Paso Robles Volunteer Firefighters. The exhibits showcase the heritage of Paso Robles, and include a 1944 firetruck, grape stomp ball pit, and an oak tree root tunnel, in addition to daily art projects, science stations, hands-on play areas, and more. The museum offers educational activities focused on families for the general public, as well as school and youth group programming. The museum’s historic home was once the volunteer firehouse serving Paso Robles, and when the Children’s Museum moved into the space its theme was designed to reflect the building’s heritage. The building still resembles a classic firehouse, and the fireman’s pole is still located in the main area of the museum. The building, which was built in 1940, underwent construction for 5 years to become the museum space that it is today. However, the building still maintains much of the feel of a firehouse, from the high ceilings to the large windows in the front where the doors for the fire trucks used to open. Some of the exhibits embrace the building’s history as well, and a fire truck near the entrance is available for children to climb on and explore. “I’m a nanny of two girls (3 and 6 yrs). I’ve been taking them to the Paso Robles Children’s Museum for 2 years now. The children’s museum is always fun for the girls. It is a great place for children to learn, explore, and socialize. It is a little pricy, but worth it for a rainy day or monthly outing. My one complaint is their hours. Most weekdays they open at 11, which makes the children’s museum hard to fit in between lunch and naps. I wish they opened at 10 AM during the weekdays… we’d get a yearly pass then.” – Janelle T.
Hamon Overhead Door is a full service garage door company servicing the Central Coast. We offer residential garage door and opener sales, installation and service. We also sell, install, and service all types of commercial overhead doors including dock levelers and associated products. Our goal is to solve your overhead door problems. In 1966, the central coast of California was a small sleepy place. Tom Triol, a successful contractor, started a garage door company. He had one employee, Al Dueck, and between the two experienced builders and carpenters, it took them all day to hang their first door! From these humble beginnings, Hamon Overhead Door has grown to 15 employees and two offices. We have striven to provide our customers with the best products at reasonable prices from manufacturers all over the United States. Tom’s daughter, Marjorie, and her husband, John Hamon, have dedicated themselves to serving the central coast’s garage door and automatic opener needs for over 34 years. With a total of 5 Hamons currently actively involved with the door company, we are truly a family run company. “I received a call back very quickly. Sent the invoice in the mail to me, performed the work flawlessly. Greg made the task seamless. Thanks Greg!” – Miles F.
“The most honest, quality, and affordable garage door company around. I would recommend them to everyone.” – Paul J. “Very helpful, professional service. These folks gave us a fair price and were very professional in the garage door installation. Would recommend them without reservation.” – Lawrence S.
Nicolette Harley is not an ordinary real estate agent. In order to be called a REALTOR®, Nicolette Harley has demonstrated that they have a greater understanding, and more experience, than legal requirements. In addition to this, REALTORS® everywhere, including Nicolette Harley, follow superior professional standards when they are hired to deal with your needs in the real estate market. Nicolette has been in the Real Estate business since 1999. She started off working in the mortgage industry and then made the transition into full time Real Estate sales. She brings a strong work ethic and years of knowledge of the industry to everything she does. Located in Paso Robles, CA the Mobile Oil Changers brings a full lube and oil change service to your home, work, or business at an affordable price. One flat rate includes oil, filter, fluids topped off, air filter if needed, and disposal. Fleet service, gift certificates, and packages available. Full Service Lube, Oil and Filter at your home or work in Paso Robles, $49.95 with coupon ($79.95 for diesel) most cars, pickups, SUV’s. If you like having your oil changed, you’ll LOVE having us change it at your place. Call to schedule an appointment. The Mobile Oil Changers opened its doors in 2011 after several operational upgrades and modifications. Our mission is to keep the publicӳ cars running well through proper preventative maintenance, and provide exceptional customer care. “Lisa, at Mobile Oil Changers gave me the type of service that I haven’t experienced in many years. I love the fact that she came to my car and spent a considerable amount of time going over my car with “a fine toothed comb”. I couldn’t believe how low my bill was after the significant amount of time that was spent on my car. I will always use The Mobile OIl Changers!” – David R.
Sherry Sims specializes in Cayucos real estate, Morro Bay, San Luis Obispo and Cambria Real Estate. We specialize in Oceanfront Homes, Vacation or Second Homes, Resale Properties & Multi-Family Homes & 1031 Exchanges. In today’s competitive real estate market, timing is everything. We are seeing a mix of different markets in California: luxury or high-end homes, slow and stagnating in mid-price ranges, depressed markets and improving markets. The Central Coast real estate market is facing challenges like many areas. In addition to the increase in the number of homes for sale, properties taking longer to sell. Prices are expected to decline further this year. At the lower end, well-priced homes are sold before they are ever advertised. Central Coast Active is the leading magazine and website for activities on the central coast like running, cycling, swimming and much more. 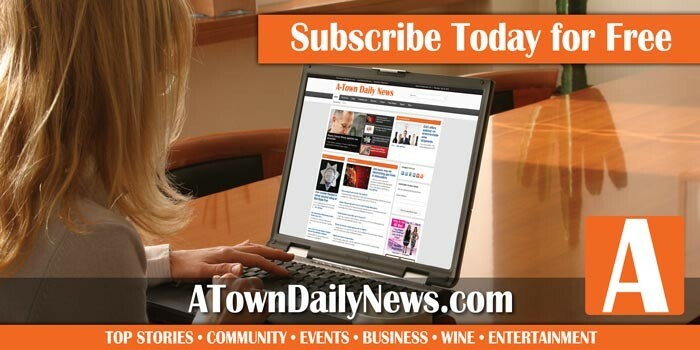 Look for inspirational stories, event information, recipes and new fun things to do outdoors. The Paso Robles Children’s Museum in downtown Paso Robles opened its doors in 2007, and has since had over 100,000 visitors. The museum’s historic home was once the volunteer firehouse serving Paso Robles, and when the Children’s Museum moved into the space its theme was designed to reflect the building’s history. The building still resembles a classic firehouse, and the fireman’s pole is still located in the main area of the museum. Your Cambria Phone Book is a local community directory serving Cambria, San Simeon and Harmony. When you are in need of a professional and experienced accountant trust the licensed CPA’s and bookkeepers at North County Tax and Accounting. Business or personal accounts can become a tangled web of headaches, so let our team simplify your life. If you need help with business or personal income tax preparation, payroll services, QuickBooks training, and other services, we can help. When you would like to obtain the services of an Atascadero, CA, accountant, work with the licensed CPAs and enrolled agents at North County Tax and Accounting. Our financial advisors have more than 25 years of experience to draw from, and we truly care about building lasting client relationships here in Atascadero, CA. Keeping track of all your personal and business accounts can be complicated, but it does not necessarily have to be that way. Consult with a member of our team if you’d like some help with these matters. Once you inquire about our services, we promise to return your call promptly. Then, we can arrange a time to meet with you and review your portfolio. If you are coming to us as a new client here in Atascadero, we are happy to offer free tax planning assistance. Then, your consulting professional can also step in to help with payroll processing or any other aspect of your business’s finances. Are you fed up with balancing your own books? An Atascadero, CA, accountant with North County Tax and Accounting would be happy to take this chore off your hands. Then, you can tend to other pressing matters that demand your attention. To learn more about how we can help, call or stop by our Atascadero, CA, agency. We always have time to meet with you and discuss your needs. Robert has a unique combination of experience in both public accounting and private industry. He has worked or consulted for some major companies, including Paramount Pictures, The Irvine Company and Lennar Homes. Robert was also the Controller for a high net worth family’s investment management company, overseeing and performing the accounting and treasury functions for a large investment portfolio, six different LLC’s, three operating foundations and seven family foundations. He has managed his own CPA practice for over 20 years, serving a wide variety of high net worth individuals and closely held corporations. Robert works closely with his business clients, typically setting up and maintaining their accounting systems or serving as their in-house CFO/Controller. He has performed numerous review and compilation engagements, assisted clients with banking and financing relationships, tax planning and payroll and business tax return preparation. His areas of focus for financial services include: investments, retirement planning, life insurance and annuities, estate planning and education planning. If you’re looking for excellent service and a people-friendly approach, then you’ve come to the right place. At North County Tax and Accounting, our ultimate goal is to serve you and make your experience with us a pleasant one. Located in South Lake Tahoe, Owens Brothers Transfer Inc. is a full service moving and storage facility. We cater to both California and Nevada offering customized local moving, office and commercial moving, packing, unpacking, and custom crating, resort consolidation and installation, safe, secured warehouse storage, boat storage and RV storage. Servpro specializes in water, fire, mold, and other forms of damage restoration. There is a lot of stress and aggravation that comes along with these kind of damages to your home or business. They want to help you solve the issue and make it as though, “your issue never happened.” With an experienced and highly trained staff, not to mention a network of qualified franchises, there is no job to big or small for Servpro in San Luis Obispo. Servpro has been cleaning and restoring damages since 1967, so they have seen and restored it all. They are a brand you know and can trust if you are ever in need of restoration.